I finally made it to the hotel. I tried to sleep on the plane but that didn't work out so well. So I've been awake for 24 hours now. Time for a shower and a nap. The Don, DarrelMorris, Big J and 3 others likes this. I found out today that I'm headed back for another 2 week trip. The bad part is I am leaving on Monday! Busy weekend getting the house and yard in shape. Big J, bcardinal, Desertlifter and 1 other person likes this. I had a free day today so I drove into the mountain/country side. I went by many small villages and saw quite a few old castles. 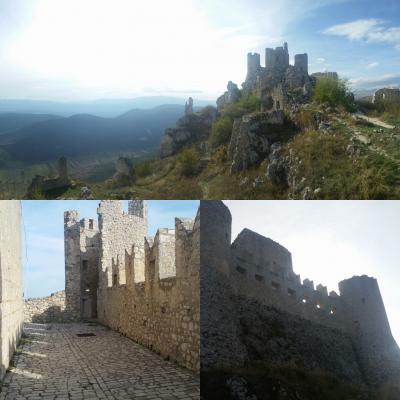 I stopped and did some hiking at Rocca Casalcio. It was build in phases starting in the 10th century. An earthquake damaged it in the 1400's and it was never rebuilt. However it was in pretty good shape considering. Desertlifter, Big J and bcardinal like this.